Imprint these bubbles for a fun promotion! 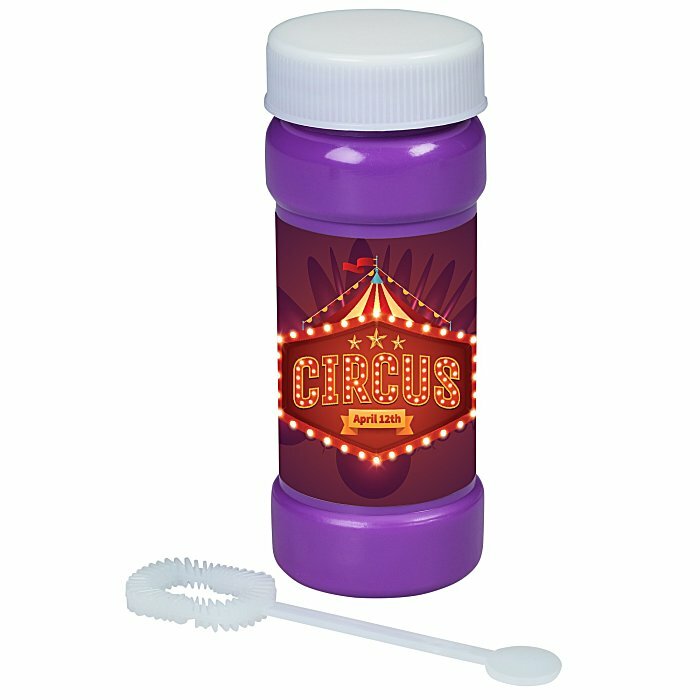 This plastic bubble bottle includes 2-oz of bubble solution and a twist-on bubble wand cap. Children and adults will love these bubbles with your logo. Perfect for company picnics, child care centers and field trips. Orders come with an assortment of bright bottle colors to play up the fun factor. Its small size makes these bubbles a great handout at business fairs. Easily tuck these bubbles away in your tradeshow goodie bag or purse. For 4-oz version, please see item #119584-4Bubbles - 4 oz..